When giving your home a Spring refresh, there are things you should do and things you should avoid. In order to do the most efficient job, we have compiled a list of the top tips for tackling that cleaning. Do: Start with a small project, like that drawer filled with junk, you’ve been avoiding. Don’t: Leave dust and dirt behind in an empty space. Make sure you empty the drawers, give them a good clean and then put the contents back in, of course throwing away things you no longer need. Do: wipe down all the cabinets, and shelves. Don’t: Skip the beginning proces. 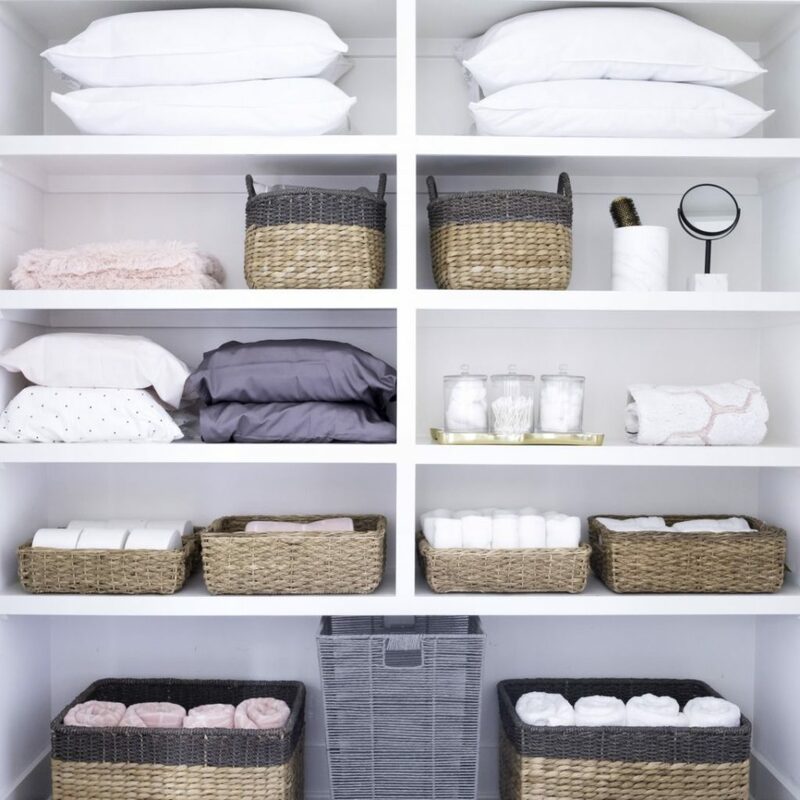 Do: Remove everything from the space, and lay the items in front of you, grouped into categories. By doing this, it makes it easier to decide what to keep, or throw away. Once you’re done doing this, then you can decide what items can go together. If you skip these steps, it’s easier to revert back to cluttered habits. Do: Purchase glass canisters that can fit the liquids, pods, or dryer sheets in bulk. Don’t: Concentrate simply on the aesthetic. Do: Create a space where function and form are both equally as important. Food for thought: You can buy all the brightly color-coded containers in the world, but if items are shoved messily inside, it’s not a productive measure. Plus, by creating a beautiful and well-maintained system, you’ll be motivated to keep it that way.